JONESBORO — Abilities Unlimited seems ordinary from the outside, but within lies people dedicated to serving the Jonesboro community including those with disabilities. Their purpose is to give people with disabilities a fulfilling and rewarding life. The store itself consists of a thrift store where all of the inventory comes from community donations. Anything from household items, décor, appliances and electronics can be found throughout the large floor space of Abilities Unlimited. Abbee Anderson, employee of Abilities Unlimited, helps out by cleaning, running the cash register and putting out inventory. “It gives people an outlet for donation,” she said. 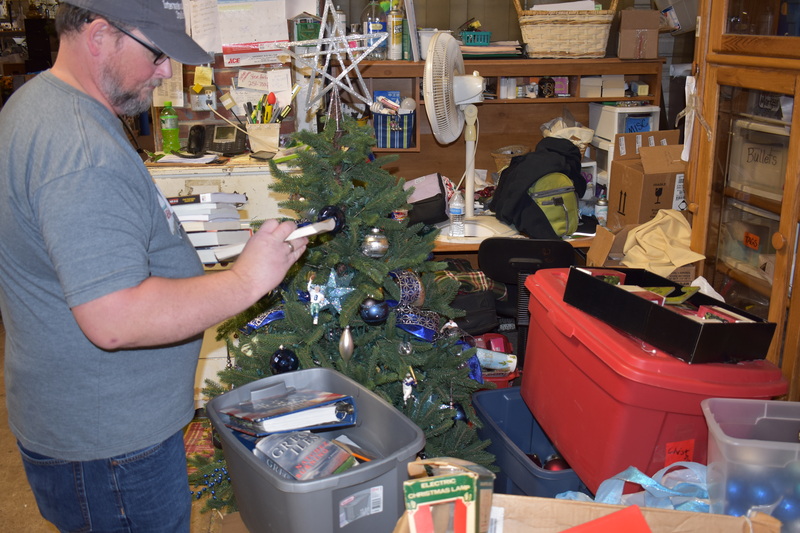 According to Anderson, donating to Abilities Unlimited is beneficial to the community because people may take unwanted items there and then re-sell those items to other people in the community that may actually need them. Manager Sandy McQuay comes from a retail background after working in the Dallas Galleria, but also understands how her business helps people with disabilities. “The purpose of Abilities Unlimited is to improve the living, working and opportunities of persons with disabilities,” she said. The store provides an outlet for people with disabilities to come and work alongside people different than them. It helps them find work in a safe and productive environment, something former Jonesboro Human Development teaching assistant Odessia Haywood knows quite well. Haywood strives to make sure people with disabilities have better living, and that starts with being able to work around people that are different than them. Clients that work in the store complete tasks such as keeping bags stocked up front, cleaning and carrying out deliveries. “I like working with people with disabilities and helping those with special needs,” she said. Haywood also wants the community to get out and interact with the clients and others with disabilities. It helps with the stores purpose of helping them function within the community. At first glance, the presence of various items throughout the store would lead one to believe that they were inside another junk store. Abilities Unlimited however is more than that. They exist to promote local contribution to those in need and to create a workable environment for those with special needs.